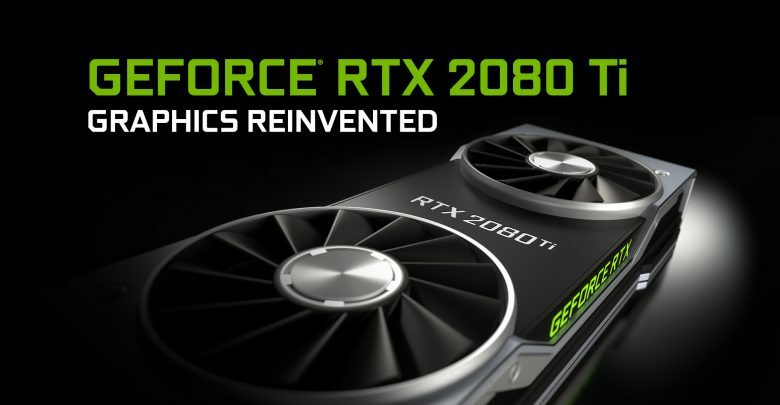 Well Nvidia finally released the drivers for the RTX cards, and we will finally get to see some leaked benchmarks, even though the NDA is valid till 19th September. 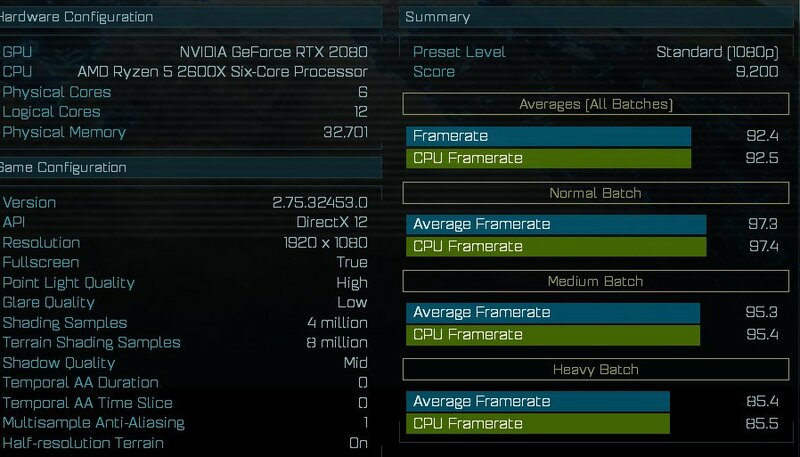 Today we have some benchmarks from the Ashes Of The Singularity benchmark tool, although it’s a very CPU intensive benchmark, it does give good insight in Direct X12 performance of a card. 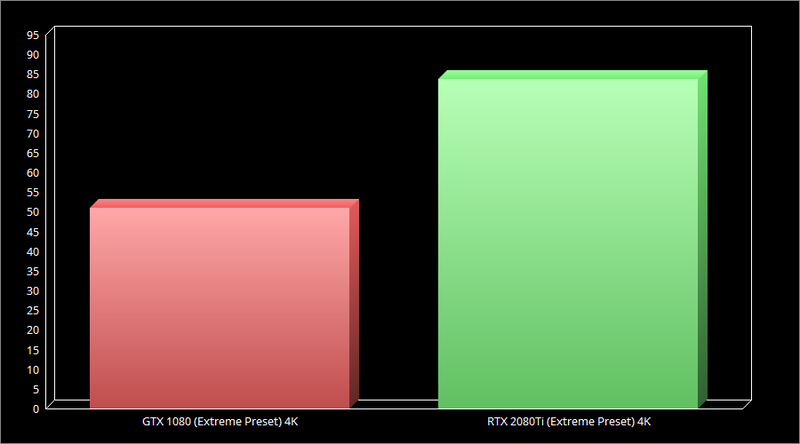 We have the RTX 2080 first, it scores an average FPS of 92.4 across all batches. But this isn’t a very good comparison, the CPU used here is the AMD Ryzen 5 2600X and given this is a very CPU intensive benchmark, there might be a big gain if a high end CPU is used. Now this is where it gets really impressive. 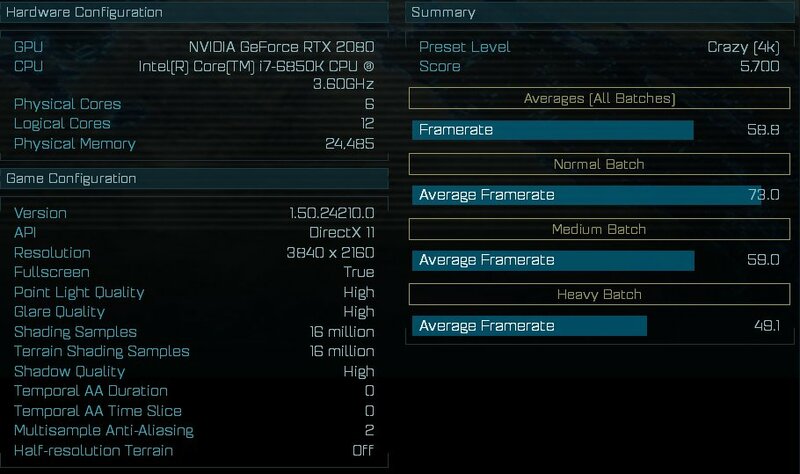 The RTX 2080ti scores an average FPS of 82.4. Now it’s being run on 4K that too on Extreme preset, the Ashes Of The Singularity benchmark can put even high-end hardware on it’s knees. Again a very impressive feat, crossing 60fps in crazy preset on 4K. 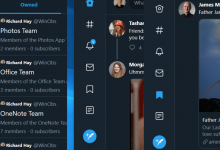 Here it’s again paired with a i7-8700K. 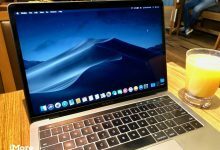 This test will give a clearer picture on the RTX 2080’s performance because it was conducted with a more powerful CPU. Although the RTX 2080 slightly misses the 60 fps mark and settles at an average of 58.8 fps, nonetheless an impressive feat considering the performance of the RTX 2080Ti in the same settings. The Ashes of The Singularity Benchmark makes great use of the DX12 API, one of the very few games to do so. 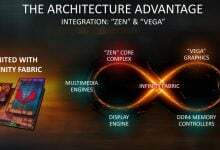 AnandTech did state in a article that Ashes Of the Singularity makes the best use of DirectX 12’s various features, from asynchronous compute to multi-threadeded work submission and high batch counts. 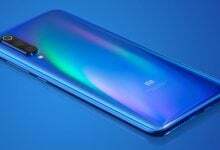 Again, I want to be clear, this is an extremely vague comparison as the leaked results has the cards tested with different CPUs and different settings, even on AnandTechs review, the CPU was different. 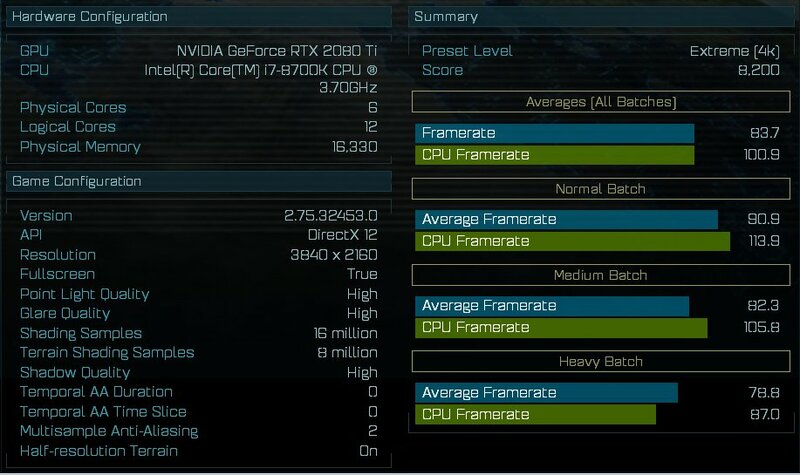 This RTX 2080Ti in the graph is paired with a i7-8700K, the GTX 1080 is paired with a i7-4960X. The RTX 2080 is left out, because the test settings are so different that it wouldn’t make any sense. 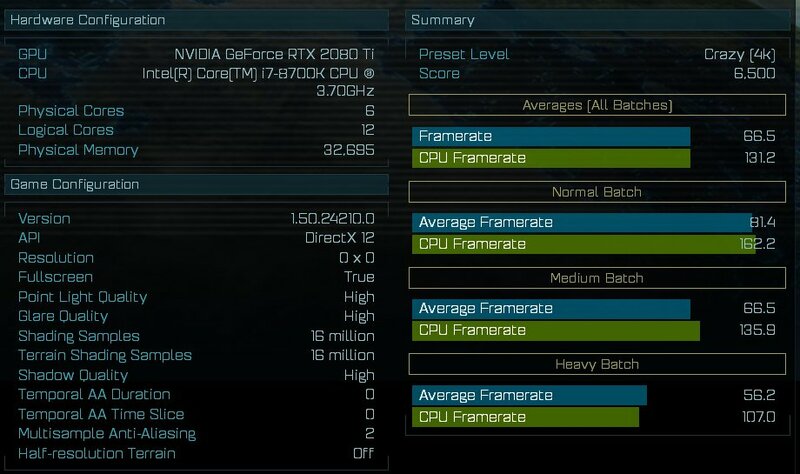 This benchmark is great to test the Direct X12 performance of the new RTX cards, given the Nitrous Engine engine used to build Ashes Of The Singularity is very optimized for low level APIs. This is a massive gain, and both the RTX 2080 and 2080Ti will now comfortably support 4K gaming without any compromises. The previous high end GTX 10 series cards, specially the GTX 1080, needed the graphical settings to be dialed down to cross 60fps in some titles. The RTX cards will also make sense for a lot of people on high refresh rate monitors. Both the RTX 2080 and the RTX 2080Ti will start shipping out at the end of this month, detailed reviews will also come out on 19th September after the NDA expires.